Water Park is the center of “Feel the Wave”. Water slides, several swimming pools, artificial lakes and rivers are the essentials of water parks. There are lots of different, exciting and amusing activities in the water parks. A successful water park development requires the success of every single unit in the park. ATLANTIS POOL with the help of its designs the most extensive range of water slides, wave pools, artificial rivers, several swimming pools and animations. 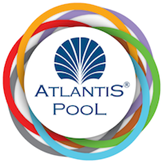 You may be looking for the excitement of your life or you may like smooth rides, ATLANTIS POOL `s design team is determined to design rides for everyone.